Pleasingly, this movie did not follow in the footsteps of Click or The Bucket List. Instead, what we got was a delightful story about friendship in the toughest of times. Emotional throughout, with plenty of appropriate comic relief from a very funny man (Seth Rogen), 50/50 is sure to leave you feeling satisfied. 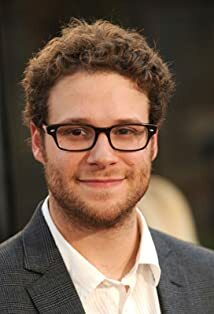 One of the things that scared me the most about this film was seeing the new Seth Rogen in action. Seth, known for playing the “funny, fat, drunk guy” character has lost a considerable amount of weight in recent months. Well, folks. I’m happy to report that despite Rogen’s recent weight loss, he is still the funny, drunk, fat guy that we all love. And rightfully so! Joseph Gordon-Levitt’s performance in this movie is worthy of noting. He respectfully and appropriately captures the essence of the difficult subject of cancer, and he’s certainly an eye-pleaser for the ladies, even without his hair. While predictable at times, this movie succeeds in offering comfort and hope to people who have been in similar difficult situations. While properly evoking emotion in audiences, they are not left feeling uncomfortable, with plenty of humor thrown in for the effect of comic relief. The result is a nice balance and an enjoyable movie. It gets a little saucy here and there, certainly not anything too graphic or anywhere near bordering on pornographic. Seth Rogen has quite the mouth on him, and as we know, he possesses an extensive vocabulary… which is always good for a nice laugh. Unfortunately, the subject of cancer is very real, and affects millions of people each year. I believe that this movie accurately documents the struggles faced by not only the cancer patient himself, but also their loved ones (i.e. family and friends) that have to go through the struggle with them. Physical, emotional, and psychological effects of cancer are all addressed in this movie, leaving a very solemn and humble attitude with me as I left the movie. SPOILER ALERT * – DO NOT READ PAST HERE IF YOU DO NOT WISH TO HEAR DETAILS ABOUT THE END OF THE MOVIE!!!! The fact that the main character wins the battle and survives in the end does not sugar-coat the fact that cancer is a serious thing that takes many lives each year. This concept is made known and is well-addressed in the movie. Overall, this film is very accurate. Nothing is glossed-over, which to me, made the film all the more touching and enjoyable.